Wondering which category you belong to? 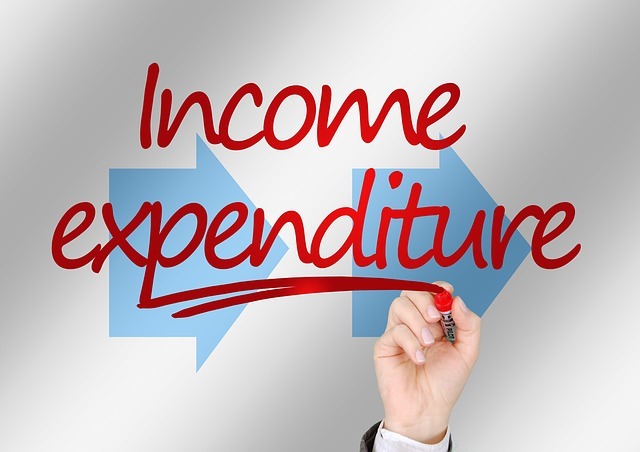 To note, in a recent press release on March 23, 2016, the Central Board of Direct Taxes has asked tax payers to re-file and rectify their returns for FY 2013-14 onwards in case the interest incomes have not been declared or wrongly declared. It is a clear cut warning to tax evaders that the department possesses all the information relating to the deposits. Declare your interest income yourself. 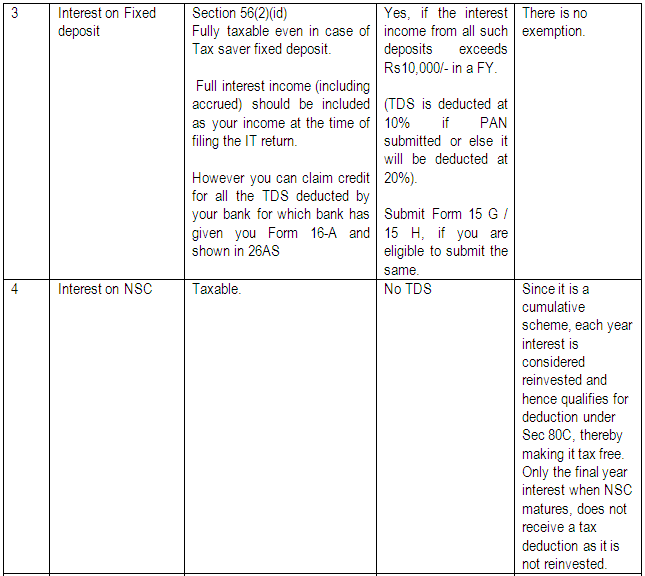 To know interest income taxability and related exemptions, refer table presented below. 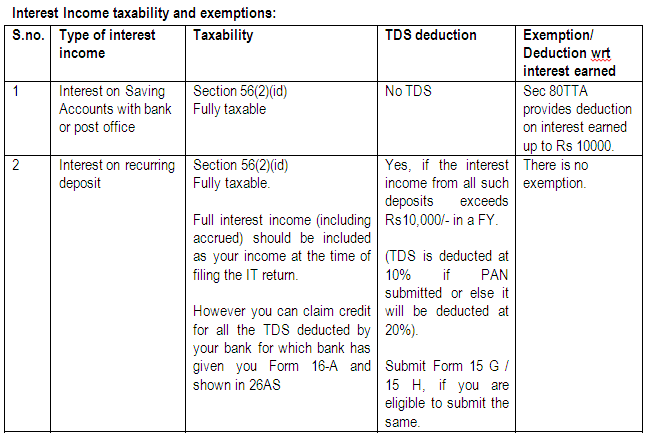 Don’t think there is no need to report the income if the bank has deducted TDS. But TDS is only 10%, and if your income puts you in the 20% or 30% tax bracket, you have to pay the additional tax. Don’t think that you can avoid reporting your interest income. If the interest exceeds Rs 10,000 in a year, the bank or bond issuer will deduct TDS and credit it to your PAN number in your Form 26AS. If you don’t mention that TDS (and the income on which it was deducted) in your tax return, the computerized surveillance system in the tax department will immediately pick up the discrepancy. While form 26AS reflects only those payments on which tax has been deducted, the department can track your other deposits and interest payments received without deduction of tax too via information received from banks and other financial institutions.